Picture FramesThere is 1 product. 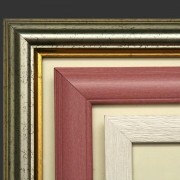 A beautiful choice of picture frames to fit the Steve O'Connell range of prints. PLEASE NOTE - PRINTS NEED TO BE PURCHASED SEPARATELY.